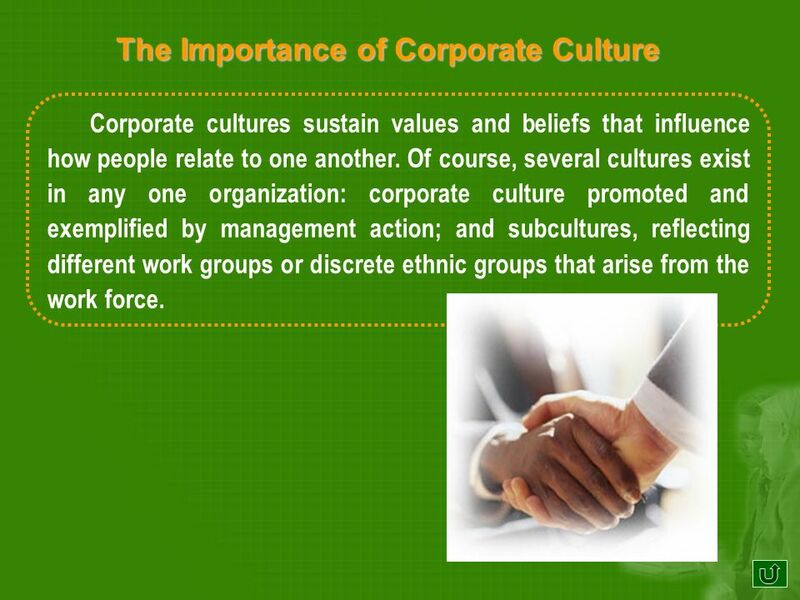 3 The Importance of Corporate Culture Do you know... How is corporate culture promoted and exemplified? 5 the relationship between corporate cultures and social ethics and responsibilities Lets learn... What functions do subcultures have in an organization? 6 These subcultures may display, differing, and ideally complementary, sets of values and perceptions, but unity of viewpoint can be achieved. In a pluralistic society, business is the one place where different cultures and personal values are forced to cooperate and compromise. It is the one place where a single and unifying ethic is essential. The corporate culture and subcultures can support ethics and social responsibility or oppose them. The questionnaire below is a checklist for examining a corporations culture. Every no response indicates that some changes are necessary to bring the company into an appropriate position to foster ethical behavior and social responsibility. 8 9. fair and equitable in the ways in which it compensates employees? 10. open in its communications? 11. trusting in its relationships with employees? 12. concerned with developing and keeping its employees? 13. actively promoting ethical conduct in all its operations and employees? 14. actively searching for ways to better serve its stakeholders? 15. carefully monitoring how decisions are made and checking them for their concern for ethical behavior? 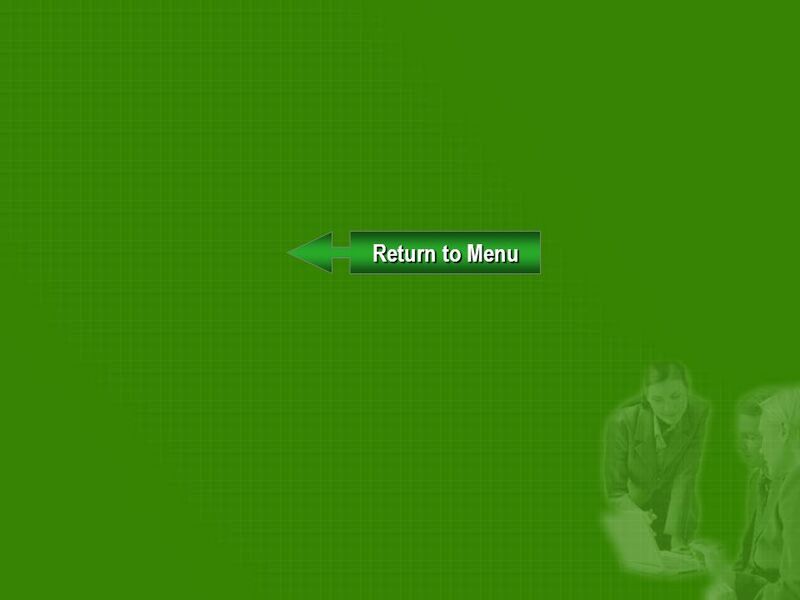 Download ppt "Return to Menu Return to Menu Do you know... Lets learn..."
Departmental Values, Ethical Conduct, and Professionalism. Staff Development Emergency Operations. ©2003 Prentice Hall, Inc.To accompany A Framework for Marketing Management, 2 nd Edition Slide 0 in Chapter 6 Chapter 6 Analyzing Consumer Markets and. 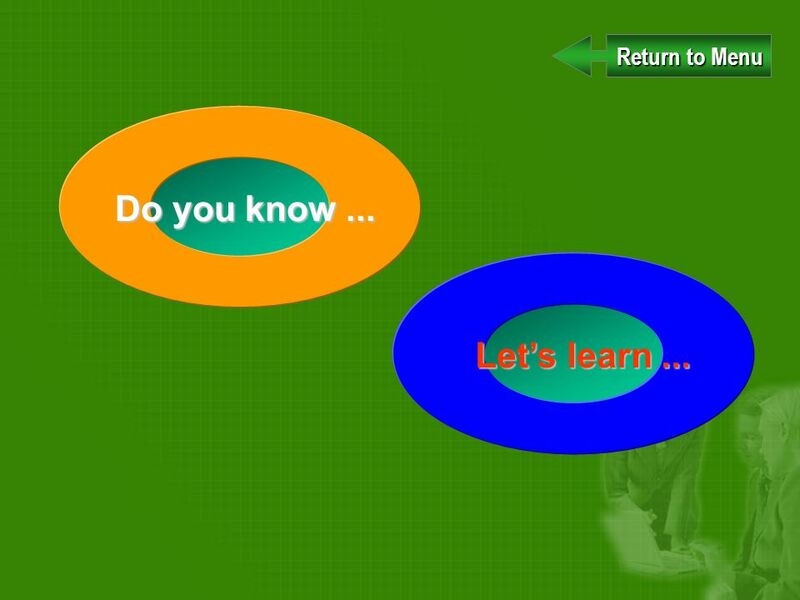 Copyright © 2003 by South- Western, a division of Thomson Learning1 Chapter Two Stakeholder And Issues Management Approaches. Clover Park School District Board of Directors 1. 0 Best Practices in achieving Good Corporate Governance - a Practitioner’s Perspective “We have no lessons to give, only experience to share” June 2005.